a kid could use it! Bookkeeping software that’s extremely easy to use. Send invoices, track expenses, and get paid now! Here at Weteak Cloud Accounting, we believe that simplicity is the key to effective bookkeeping software. No one has the time to study complex bookkeeping software and run a productive business. In fact, why does running your bookkeeping software have to be rocket science? The reality is that it doesn't have to be. For that reason we’ve developed bookkeeping software founded on the concept of simplicity. Generate invoices, track expenses, and viewing reports has now become so simple that a kid could do it. Now, we understand that this may be too good to be true, so we encourage you to try our software free for one month and tell us what you think! Our team developed bookkeeping software so simple that a kid could use it! Weteak Cloud Accounting is company founded on the idea that bookkeeping software doesn’t have to be rocket science. No more long days trying to understand numbers and figures. Now you can easily send invoices, set appointments, and track expenses with just a few clicks. The best part about our software is that it is fully customizable regardless of your subscription level. You’ll receive the best technical support at no cost, unlike some of those other guys. Sounds too good to be true? Then we encourage you to try out our software then tell us what you think. Create powerful invoices that can be easily emailed to your clients with our simple cloud accounting application. Invoices can be printed, exported, and integrated into any other software. We offer simple solutions to keep you working. Our easy to navigate dashboard, makes it easy to generate an invoice, set appointments, and close sales. You can easily access customer information and send estimates all on one clean simplistic dashboard. Accepting credit cards is no problem with our virtual point of sale system. You can integrate our software with paypal, stripe, and wepay just to name a few. With just a few clicks you can send unlimited estimates to your customers using our simple system. Quickly track your expenses on the go or the comfort of your office. Everything is fully customized so that you can taylor our software to your business. Now you can set appointments and receive reminders via text and email. No additional software needed. Never miss another meeting with a customer. Need some extra help? We provide tutorials on every page. All of our tutorials are provided in both English/Spanish. Nuestro software de contabilidad simple también está disponible en español. Feel free to reach out using any of the following contact information. Communication is key to any sucessful partnership. We are here for you! Weteak puts you in control of your small business accounting. Do you have questions? Then we have answers! 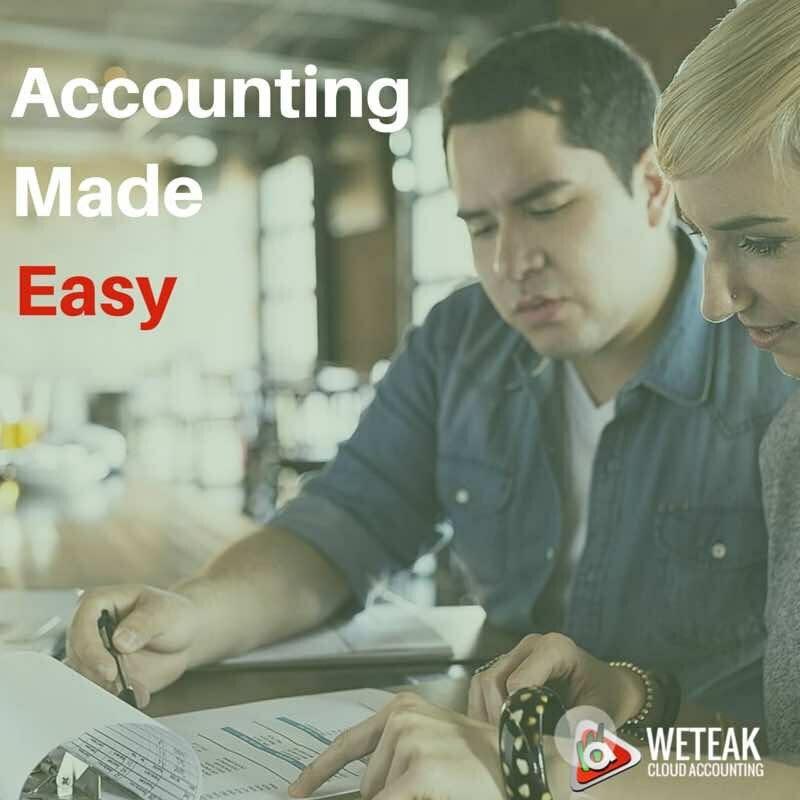 Weteak's accounting software offers a simple solution to everyday accounting for businesses that are looking to grow with software that can scale to meet their business needs. Subscribe to our newsfeed for all of the latest news and videos on how we can help your business grow!